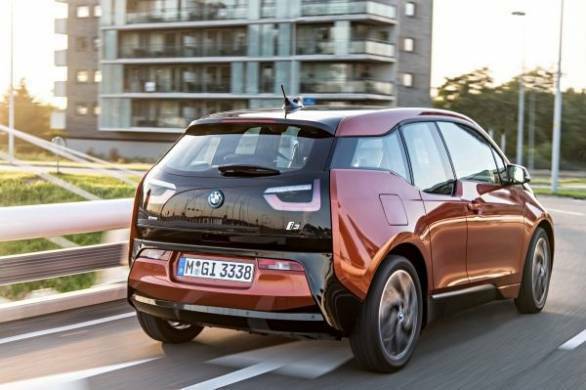 BMW is better known for its driver focused cars, but now it has entered the sphere of environmentally friendly motoring with its first mass produced electric car, the i3. The i3 is supposed to be a technological masterpiece ? light and fast, safe and sophisticated, and, since it is a BMW, fun to drive as well. That's clearly a lot to live up to, and to find out if it does, we went to Amsterdam; one of the most EV friendly cities in the world. The i3 clearly stands out here thanks to its unique looks. The lines are unconventional; the look, a bit bulbous; and it isn't something that people will fall in love with from the word go. It is a hatchback with a tall boy stance and seriously large wheels. These might be 19-inch wheels but the tyres are skinny; these are only 155mm wide, only as wide as those we get on an i10. 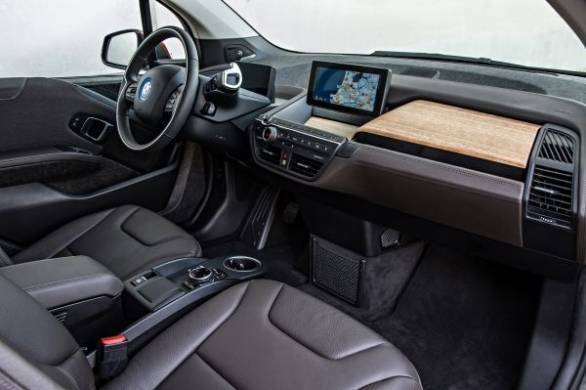 Inside, the i3 uses natural materials like a special kind of cotton for the door panel trim and open-pore Eucalyptus wood for dashboard inserts, besides natural tanned leather to give it the right balance of opulence and environmental-friendliness. 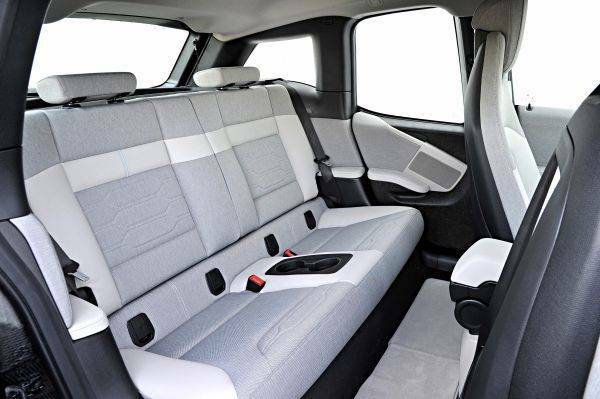 Moreover, 25 per cent of the plastic used on the inside is from recycled materials and renewable resources, and textile for the seats is made up of 100 per cent recycled fibres. If you are driving a BMW, you expect a spot-on driving position and ergonomics that are centred around the driver. The i3 scores well on this front. The steering, the gear selector, various buttons and even the cup holders and the iDrive are logically located. The simple but informative instrumentation is easy to read and moves with the steering column. And the seats upfront are comfortable and supportive too. Even though majority of the bits on the i3 are thoughtfully designed, this BMW does have its quirks. The rear door for instance can only be opened after opening the front. And if the front passenger forgets to undo his seat belt, opening the rear door almost strangles him. This is because the seat belt for the front occupants is located on the rear door. Now, this might be one of the disadvantages of doing away with the B-pillar, but the upside is effortless ingress and egress. The seat belt for the front occupants is located on the rear door. Once inside, the space isn't bad either. The head room, in particular, is very good. Also, the i3 isn't a very big car measuring less than 4m in length, but it still has more than adequate leg room at the front and acceptable knee room at the rear. This, however, is a four-seater and therefore shoulder room isn't great. 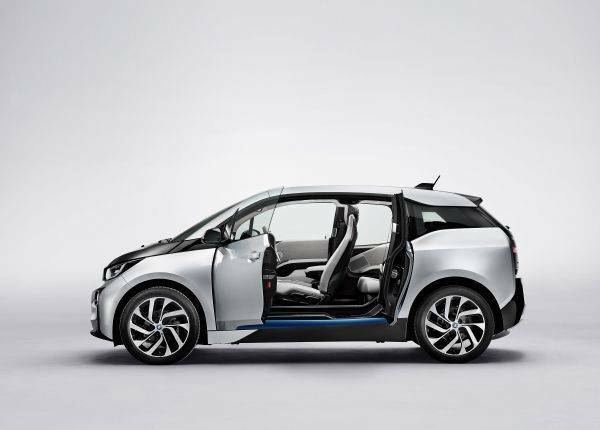 As far as the drivetrain goes, the i3 uses a 125kw or 170PS electric motor powered by lithium-ion batteries. It makes a healthy 250Nm of torque too which is available from zero rpm. The engine is coupled to a single speed automatic box which then drives the rear wheels. 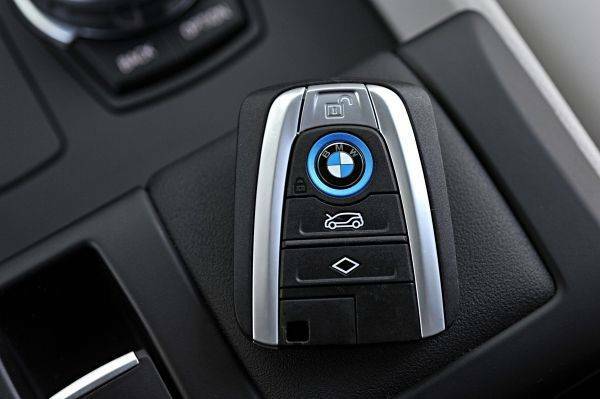 The i3 has three driving modes to choose from ? Comfort, Eco Pro and Eco Pro + ? with Comfort being our mode of choice. The throttle response in Comfort is instantaneous and calling on the throttle with force literally throws you back in the seat. It's a little odd at first given you don't really hear anything but a whine, but are still propelled towards the horizon with vigour ? it takes 7.9 seconds to hit 100kmph from a standstill. But soon enough, the surprise turns into excitement, and excitement into fun. In the Eco Pro + mode the throttle response is lazier but the range gets better. 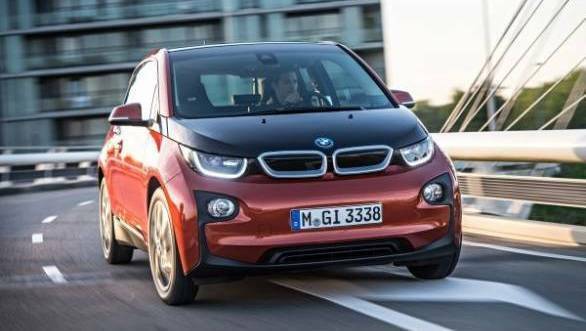 The i3 can go up to 200km in Pro + compared to about 130km in Comfort. The top speed ? 150kmph in Comfort mode ? is also limited to 90kmph, and the air conditioning is switched to energy saving mode in order to increase range when driven in Pro +. 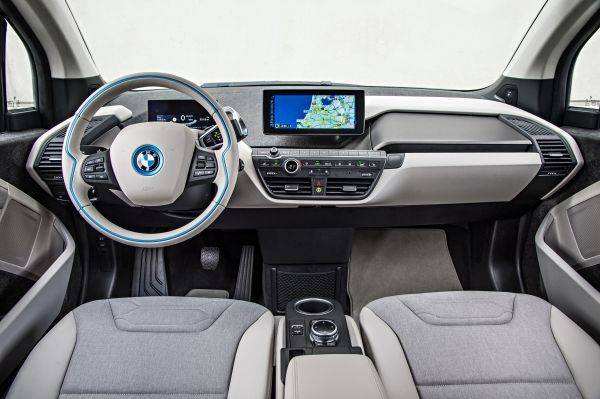 As is the case with the interiors, the i3's architecture ? called LifeDrive ? has its fair bit of innovation too. The car is essentially split into two parts ? the carbon body or passenger cell called Life module, and the rolling chassis called Drive module. The latter houses the battery, the motor and the suspension bits. The Drive module also employs aluminium liberally. The crash structures and the suspension arms and links are all made from aluminium which helps keep the weight down. But, the Drive module is still heavier than the carbon body which means the centre of gravity of the car remains low. Moreover, the Drive module is so designed that the i3 maintains BMW's preferred 50:50 weight distribution front to rear. According to BMW, the LifeDrive approach has helped liberate more cabin space, while improving handling at the same time. And, the handling is really good on the i3. The steering is light but quick, and though the i3 runs skinny tyres, the grip is still surprisingly good. It turns into corners willingly ? even the really tight ones - with no under or oversteer to speak of; the body roll is well reigned in; and even though it is a relatively tall car, it goes about the business of tacking quick direction changes commendably. The ride quality isn't bad either; it's a bit clunky, but not uncomfortable. The BMW i3 then, is a masterpiece, no doubt. And it is a likable electric car. It is small and usable, quick and fun to drive, and it uses some innovative materials while remaining true to its luxury badge. But, the two shortcomings that have kept electric cars from going mainstream in a big way, remain. 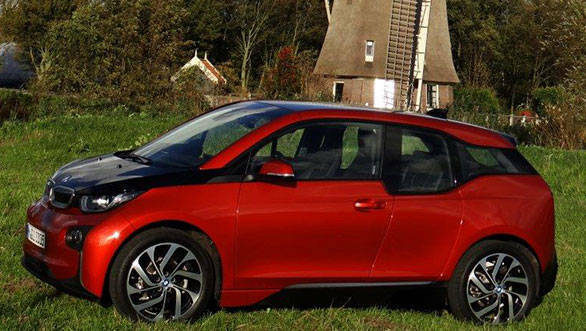 The i3 might have a decent range but it's not long enough to eliminate the range anxiety. And you still need hours to charge it unlike a regular car wherein you roll into a fuel pump, fill up and get going again in less than 10 minutes. The i3 is also headed to India and will go on sale sometime in 2014. It will be expensive, no doubt, but for those 7 Series and Rolls Royce owners who have been asking for such a car from BMW, it will be a statement that clearly outweighs the price. As for the charging infrastructure, BMW says it is on the job and is trying to get some sort of an infrastructure ready at least in bigger cities with charging stations being located in malls and maybe even some office complexes.